1. 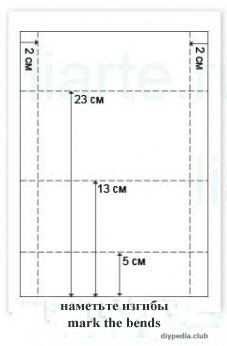 Take the A4 sheet and make the workpiece, as shown in the picture. 3. 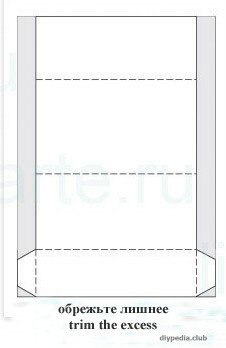 Bend lines are marked with a dotted line as well as ears. 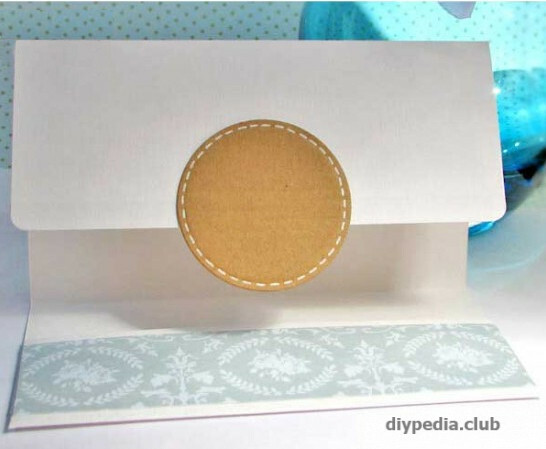 Smear the ears with glue and glue the bottom of the envelope to the middle part (shown in the picture) to get a niche. 4. Our envelope is ready. It’s time to decorate it. 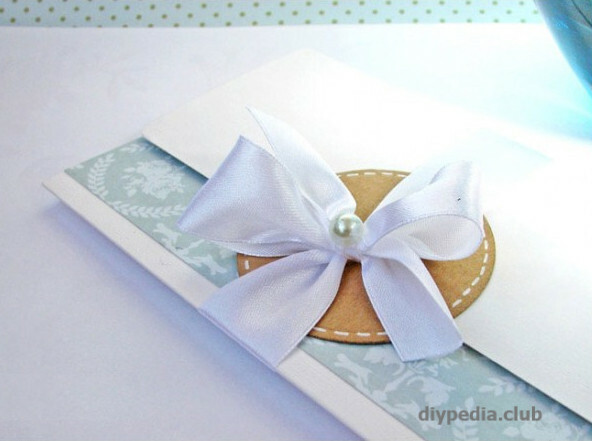 To do this, take the tape and glue it to the bottom of the envelope. 5. Make a blank print. For this we take a flap of fabric, cut out of it a circle and sew on edges. 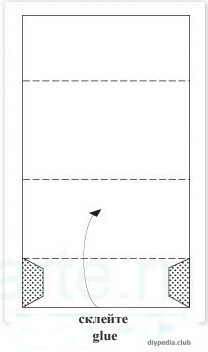 Glue in the middle of most of the print to the top of the envelope. 6. 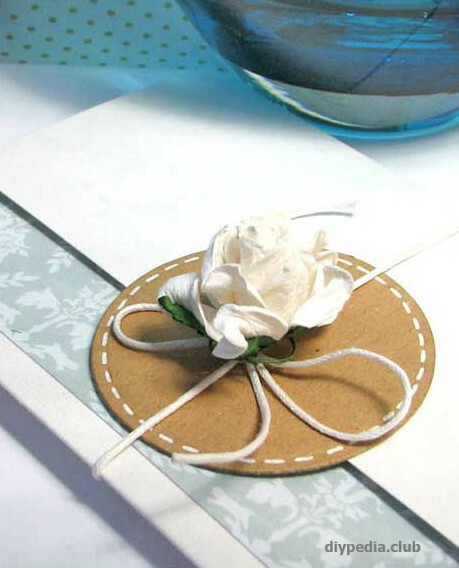 On top of the print you can attach a flower with a bow of lace. 7. 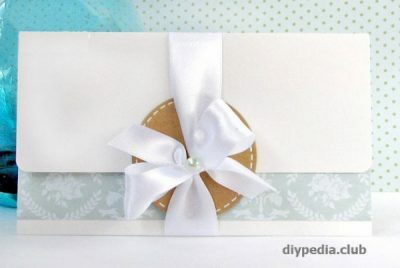 Also, as an option, you can make a bow, in the middle to attach the bead and paste to the press.